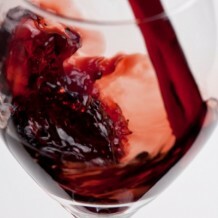 Home » Weekly Wine Reviews » Forgive Me, For I Have Zinned! Forgive Me, For I Have Zinned! Where I come from, Zinfandel is a red wine. I can’t tell you how many tasting room visitors I’ve poured for through the years have gotten puzzled looks on their faces when I’ve offered them a taste of the red, juicy deliciousness that is Zinfandel. “But, I thought Zinfandel was a pink wine,” or “shouldn’t this be sweet and served cold?” Nope. It’s red. And it’s one of my favorite red wines. In fact, back in the day, Gallo Hearty Burgundy was made mostly from old vine Zinfandel (I learned that from a wonderful, well-respected-in-the-wine-industry man who used to be one of their head winemakers). That’s the red wine that I cut my teeth on back when I was but a young wench and I’m still a big Gallo fan. They make solid, consistent, well-priced wines and their Gallo Sonoma brand wines are excellent. Zinfandel pairs well with many foods, including grilled salmon, seared Ahi tuna, pizza, hamburgers, spicy pasta dishes and grilled vegetables. I like it with a good, spicy novel. As always, try your own food pairings, you may be surprised at the results. I was sent a boatload of Zinfandels (thanks to all of my contributing wineries – I LOVE you guys!) for this tasting, so to be fair, I broke it down by price point into two separate tastings – one for Zinfandels priced $20 and less, and another for Zinfandels priced $21 and up. Let’s start with the $21 and up category: I tasted quite a few, but the following nine wines were ones that I’d strongly recommend that you try – they ROCKED! Look for the $20 and less review next week. Take a big bite of warm blackberry pie, then a sip of steaming mocha, while enjoying a stimulating conversation with a good friend at the kitchen counter and you have this wine in a nutshell, er, wine glass. It is loaded with aromas and flavors of blackberry pie, baking spices, mocha and a hint of orange peel, all wrapped up in a well-balanced, densely textured mouthfeel. Mouthwatering aromas of ripe plum, blackberry, raspberry, savory herbs and peppery spice continue as flavors in the plush, juicy mouth. This wine should come with a warning label, because it is waaaay too easy to drink. Aromas of sun-warmed, blackberries and brambles, baking spices and orange peel lead into a dark, juicy, balanced mouthful of consistent flavors. This wine is a summer picnic in a glass! Delicious! Buy some. Buy some now! This is a classic Zinfandel at a bargain price. Blackberry, boysenberry and raspberry aromas and flavors abound, enhanced by peppery spice notes. The mouthfeel is rich and juicy, with a long delicious finish. This tasty Zin showcases the perfect blend of ripe, juicy berry and spice, both in the nose and in the mouth. It is bright, balanced and juicy in the richly textured mouth. In a word, yum! Concentrated scents of ripe raspberry, mocha and sweet straw delight the nose and continue as flavors in the seamless mouth. This enticing Zin is like Christmas in a glass – clove-studded orange, blackberry and gingerbread aromas and flavors abound, all wrapped up in a huge, velvety mouth. A worthy splurge. Wow! What a nose! Intense scents of rose petal, orange peel, plum, blackberry and baking spices lure the taster into a luscious (and consistently flavored) mouthful of jammy Zin goodness.